Beautiful handmade tea cup and saucer with subtle flower patterns and gold handle. 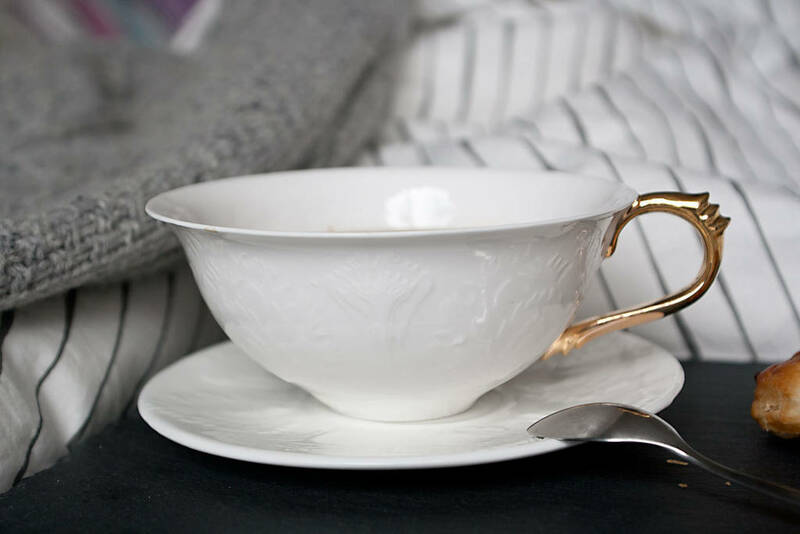 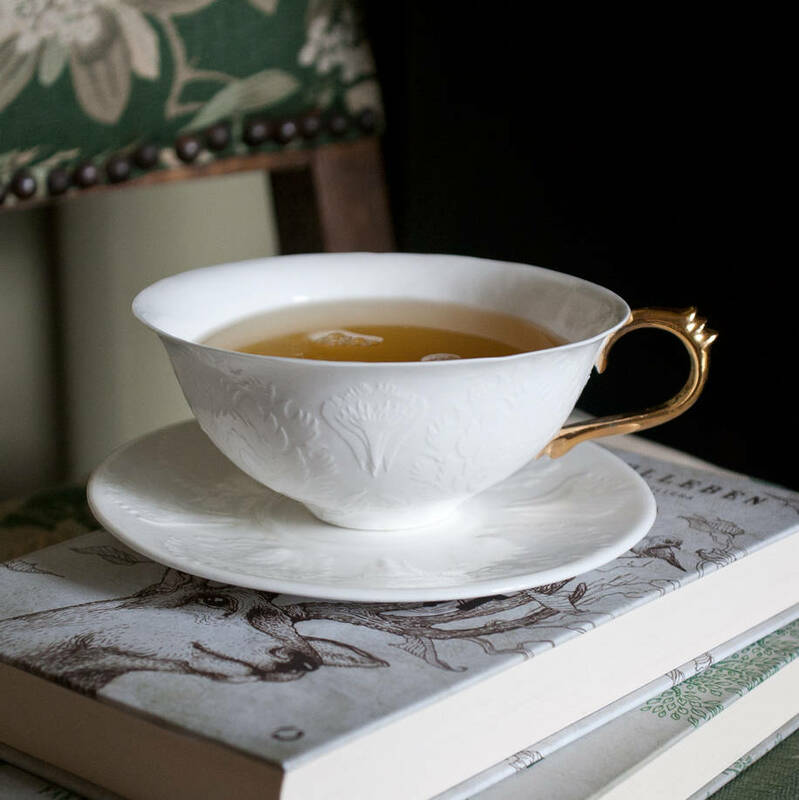 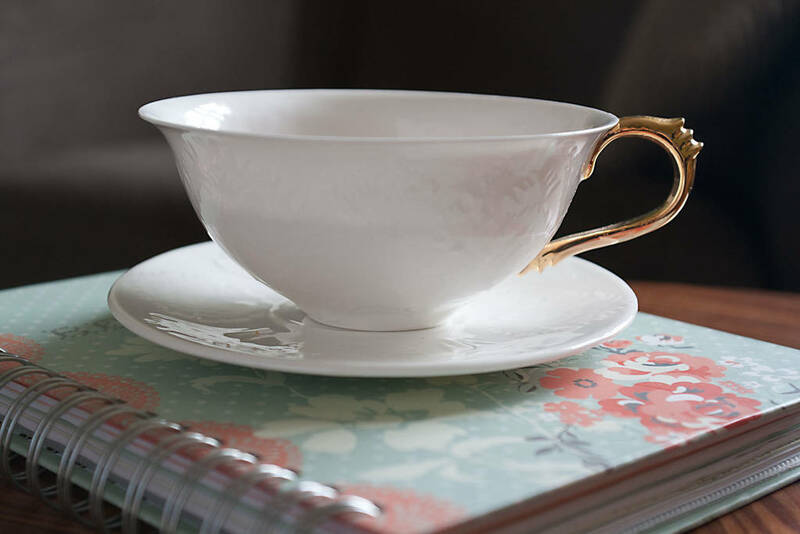 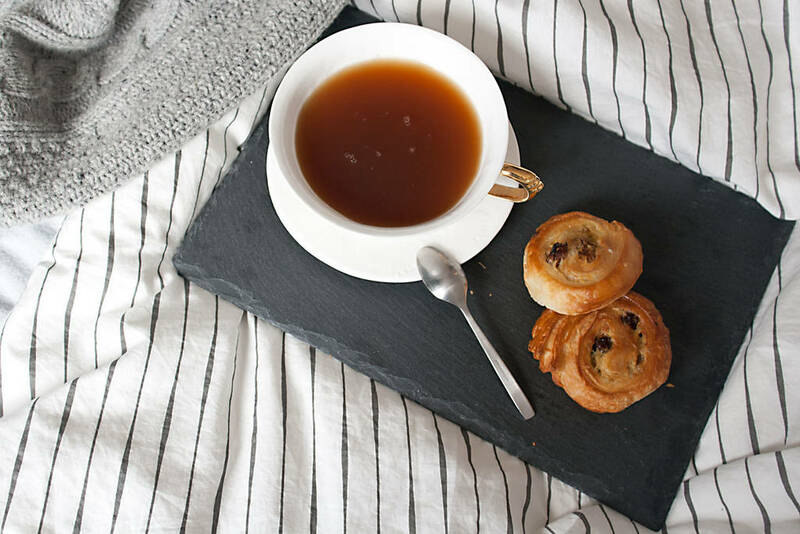 Make your daily tea break celebration with this handmade porcelain teacup and saucer. 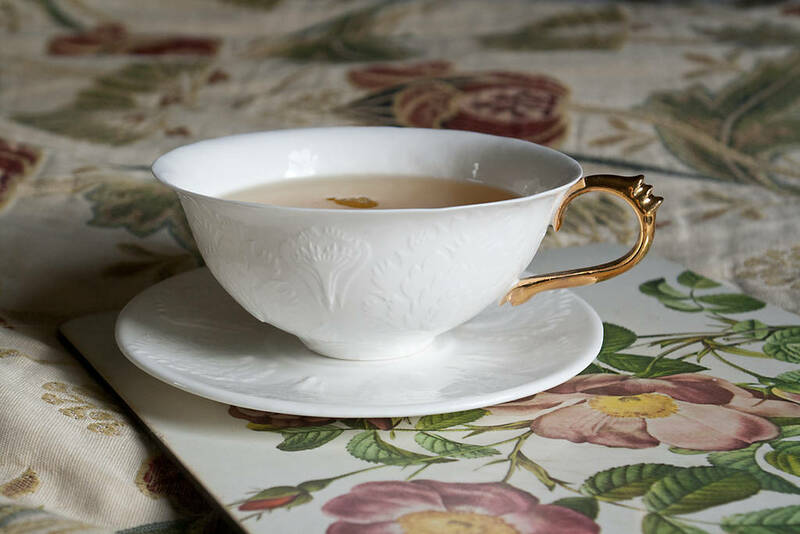 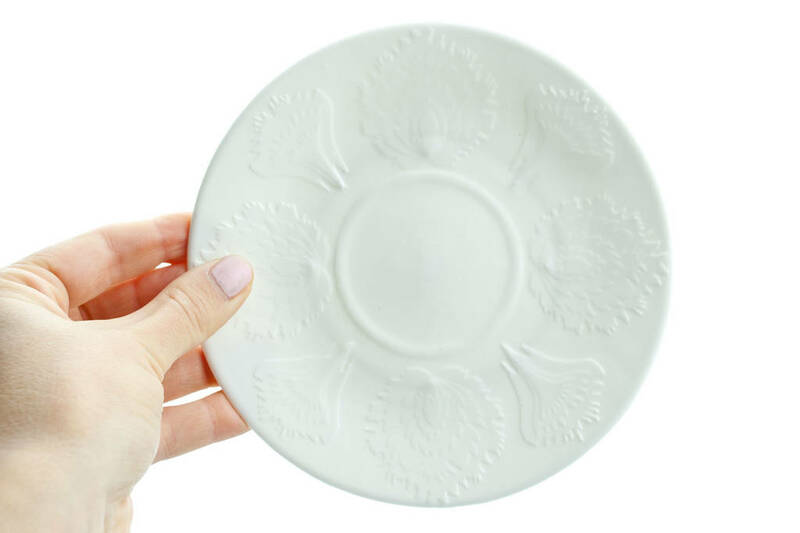 Put a cup close to the light and you will discover delicate layers of craved floral patterns inspired by traditional polish folk paper cuts. 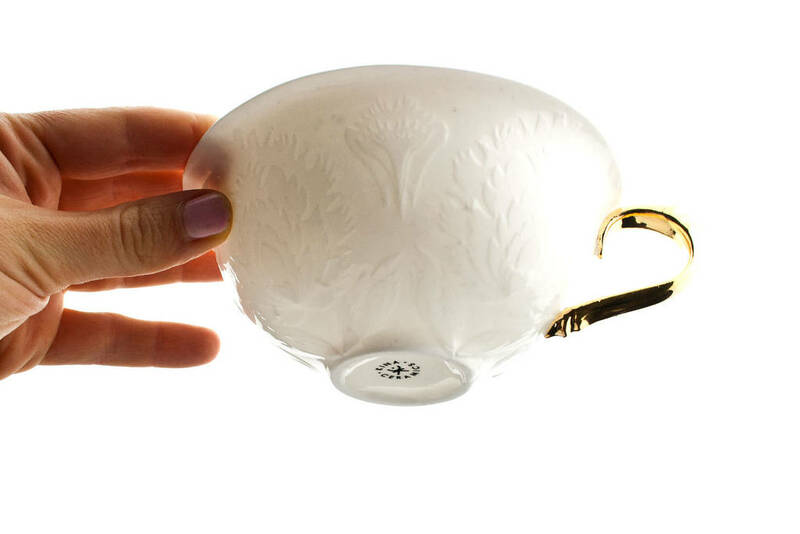 Both cup and saucer are covered with the overlapping patterns. 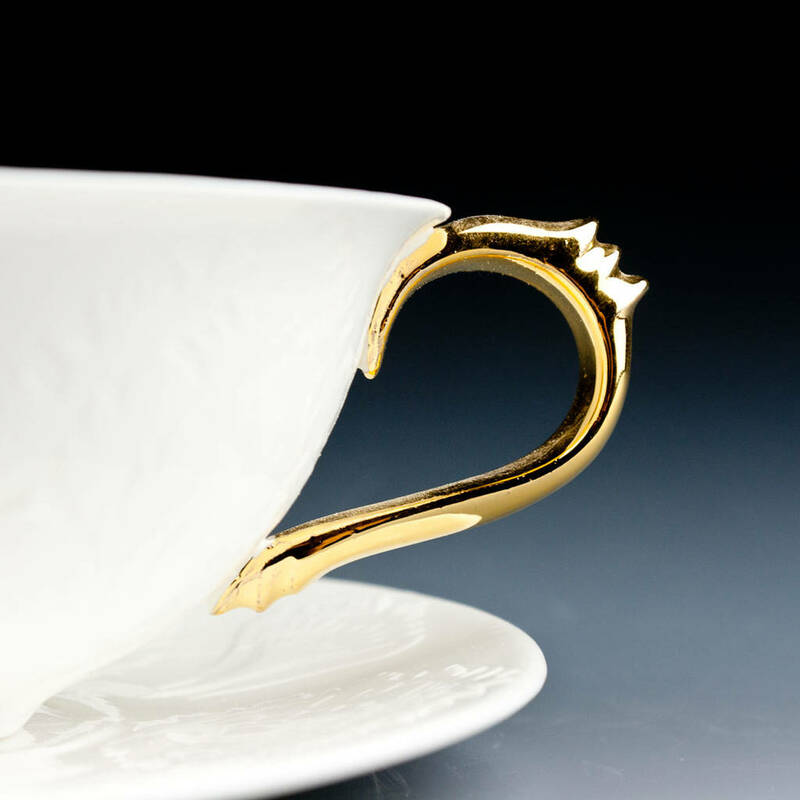 In addition subtle handle is covered with genuine gold.Your tea party will reach completely new level with this luxurious tea set.Delightful gift for tea lovers.Please note that this is handmade product and there can be small differences between presented photo and the item that you will receive, however it does not effect the quality of the product. 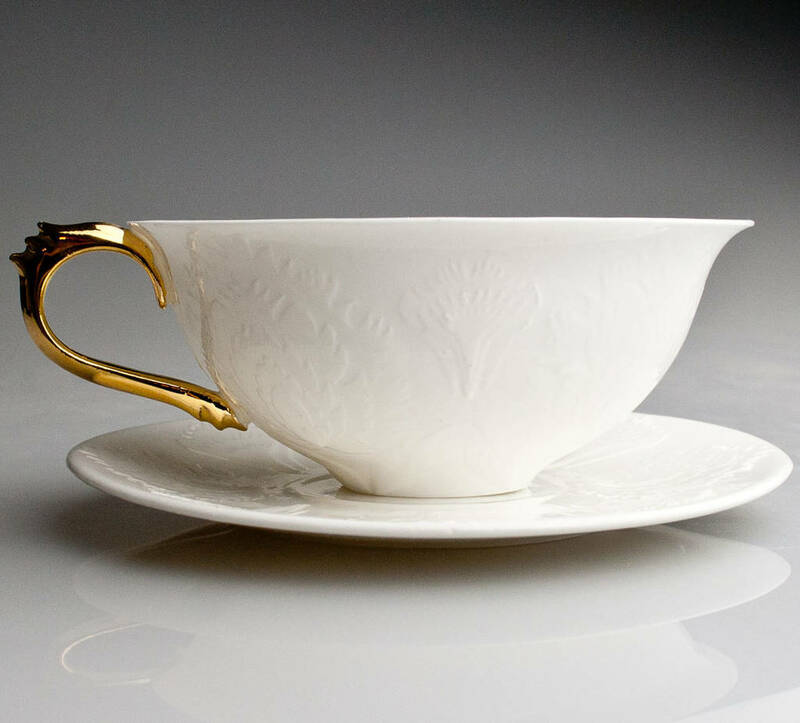 This cup is handmade of fine English Bone China porcelain, fired 3 times for finest luxury finish. 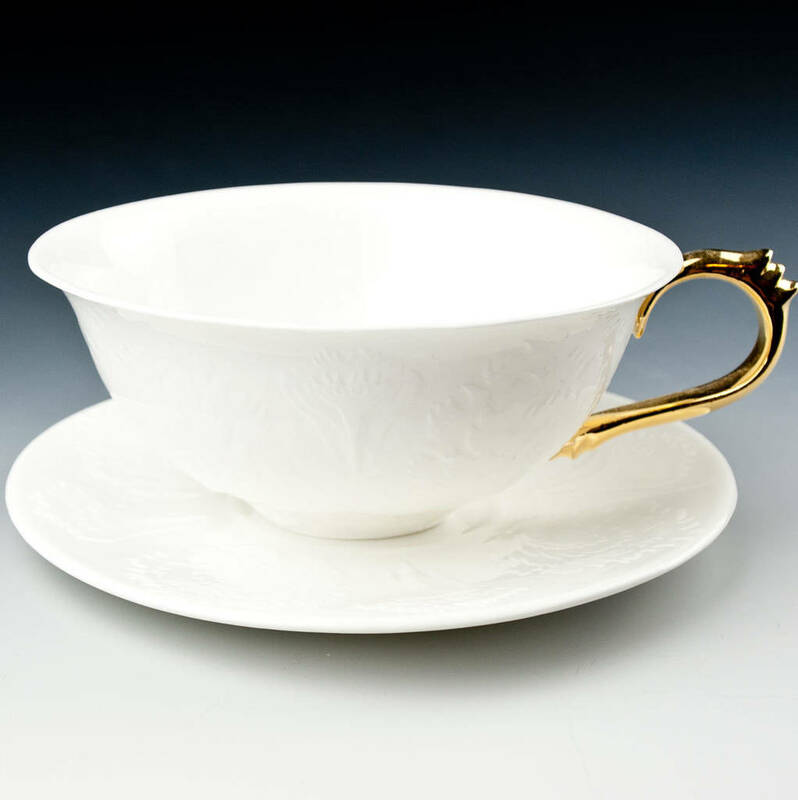 Fine English bone china, gold. 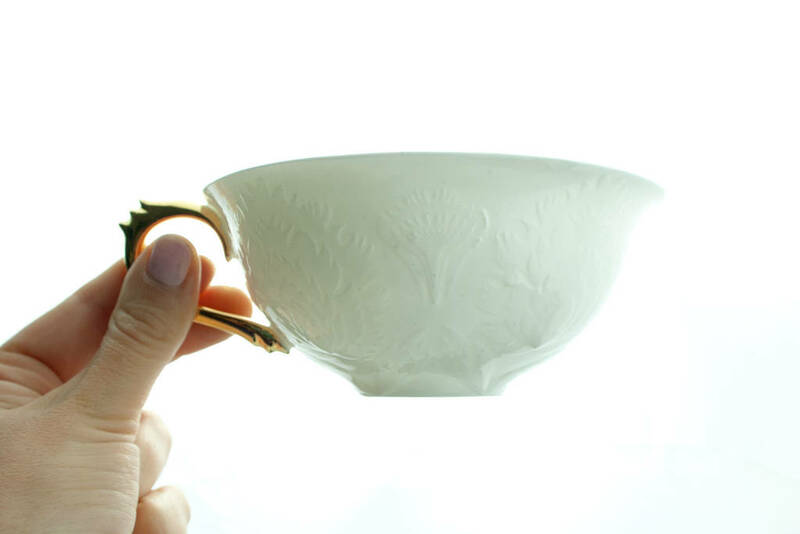 Capacity of the cup is approx. 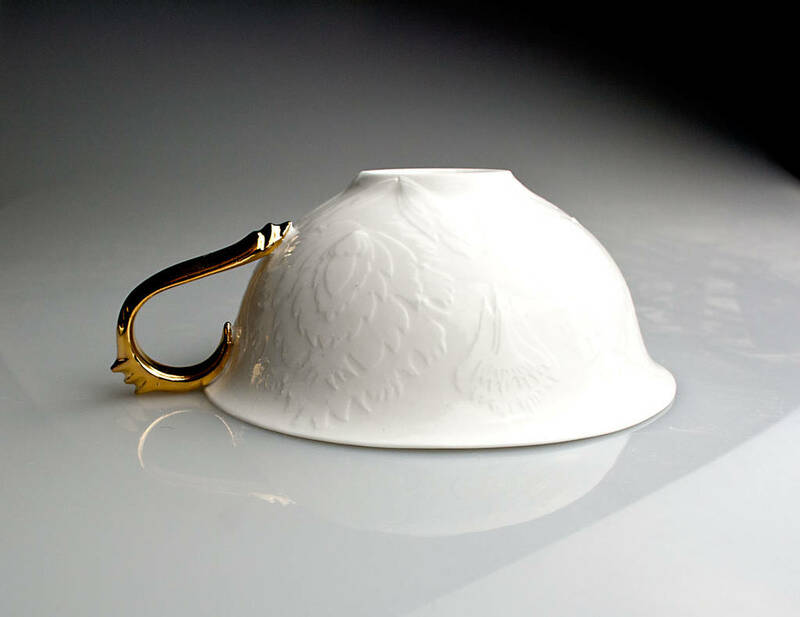 230ml/ 7,77fl ozDiameter 12cm/4,72"Height 5cm/ 1,96"